This article originally appeared on Finbox.io. 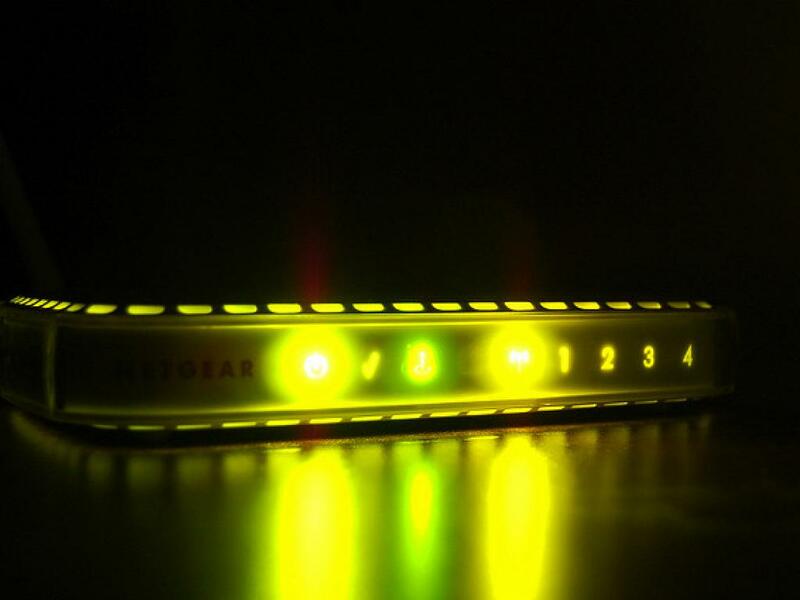 Netgear, Inc. (NASDAQ: NTGR) is a well-known manufacturer of networking solutions and smart connected products. The company operates in three segments: retail, enterprise and service providers (SP). Currently, the fastest growing segment is retail. Netgear sells home WIFI networking solutions and smart connected devices like security cameras. The enterprise segment provides business networking, storage, and security solutions. The service provider segment provides home networking solutions that SPs sell to their subscribers. Over the past few years, the retail segment has seen strong growth while the SP unit has struggled leading to its restructuring. We have seen a very strong bullish reversal in the share price over the past week, and it is worth looking at how far this may go. 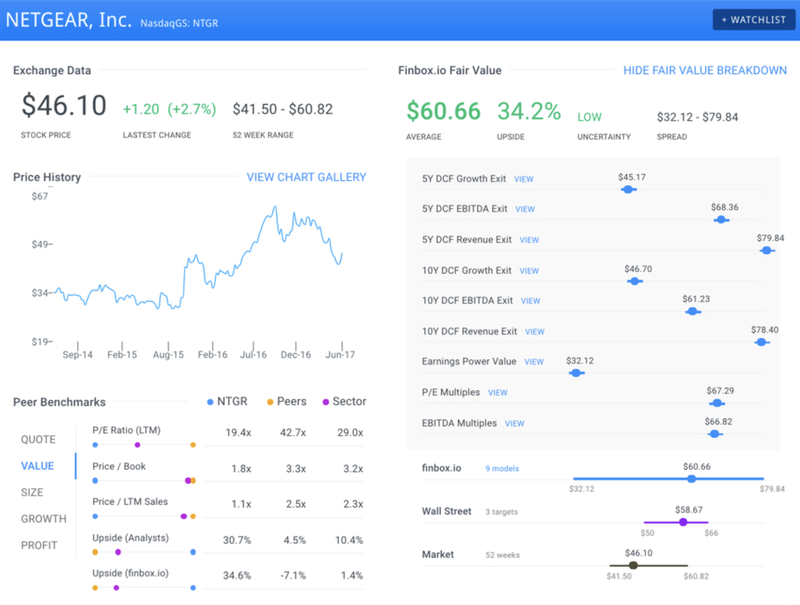 Finbox.io's nine valuation models conclude an average fair value price target of $60.66 per share, well above its current trading price of around $46.00. In fact, only the Earnings Power Value model suggests a fair value below the current price. Wall Street’s consensus is just below the finbox.io average fair value at $58.67. Overall, the nine models and three Wall Street targets imply that the stock is 28-32 percent undervalued. After the 2008 bear market, the share price experienced a strong rally through 2011 and then traded in a tight range for nearly five years. In 2015 another rally started, as the retail segment began to show signs of strong growth. 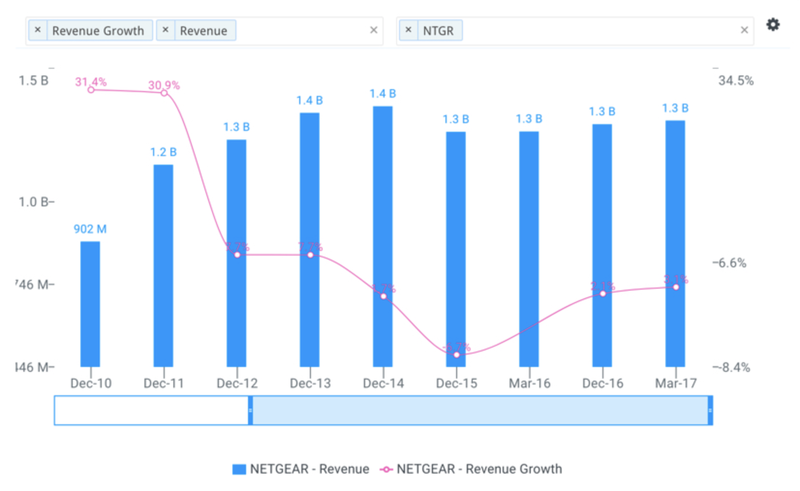 • Netgear's Service Provider segment revenues fell a whopping 48% from Q4'15 to Q4'16. In fiscal year 2015, this segment represented 32 percent of total revenues and now only represents 14 percent. • The company also incurred nearly $4 million in restructuring costs in 2016 in connection with its SP segment. However, investors have been unimpressed by the results thus far. • Netgear management has already shown investors that they are capable of operating with long periods of mediocre growth as illustrated below. However, the recent bullish reversal should excite shareholders. The fall in the share price was justified, but it may have been overdone, and there are a couple of very good reasons we could see more upside from here. • The contribution from the SP unit now makes up just 14 percent of revenue. Even if the contribution from the SP unit continues its decline, it will only have a marginal impact on gross revenue going forward. • Gross margins are expanding as the contribution from the high margin retail segment grows, and the contribution from the low margin SP unit shrinks (highlighted below). Sales of Netgear’s Arlo wireless security cameras jumped 150 percent year over year. 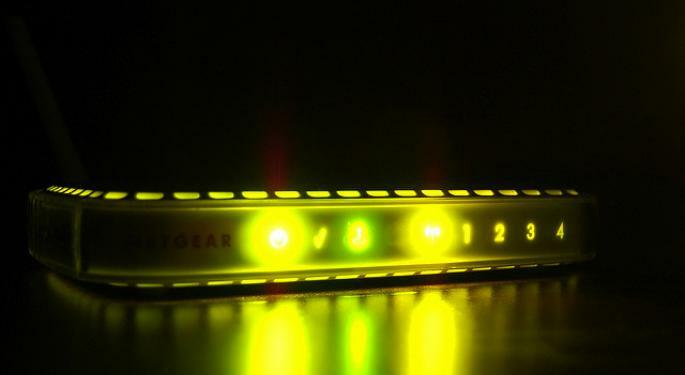 • Netgear is recognized as the market leader for home WIFI routers. The ORBI router offers the highest speeds when measured against competitors. • The company is about to launch two new products to the retail market; the Arlo Baby and Arlo Go weatherproof cameras. • Netgear has no debt and enough cash on hand to fund further growth initiatives. • The company's EBITDA multiples trade at a significant discount to selected peers NetScout Systems, Inc. (NASDAQ: NTCT), Brocade Communications Systems, Inc. (NASDAQ: BRCD), Arista Networks Inc (NYSE: ANET). Palo Alto Networks Inc (NYSE: PANW) and the average of the IT sector. Netgear is a solid company trading well below its fair value. However, there’s more to the story and its upside potential. As a trusted manufacturer of connected devices, Netgear is perfectly positioned to become a player in the Internet of Things (IoT) market. Companies like Amazon.com, Inc. (NASDAQ: AMZN) are already investing billions in this fledgling industry, which happens to be dependent on the technology Netgear is a market leader in. 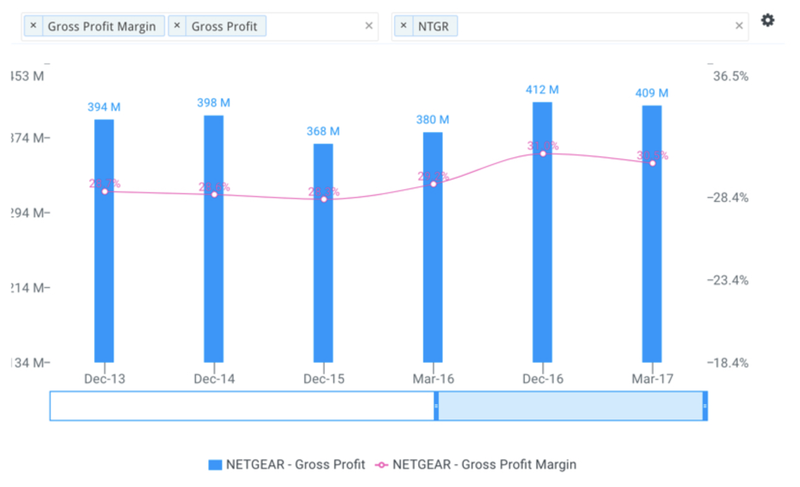 Looking back at the past decade, Netgear would not be described as a growth stock. But when you look at the revenue growth from the retail segment, the new products on the horizon and the optionality of exposure to the IoT market, you have the recipe for a growth stock. 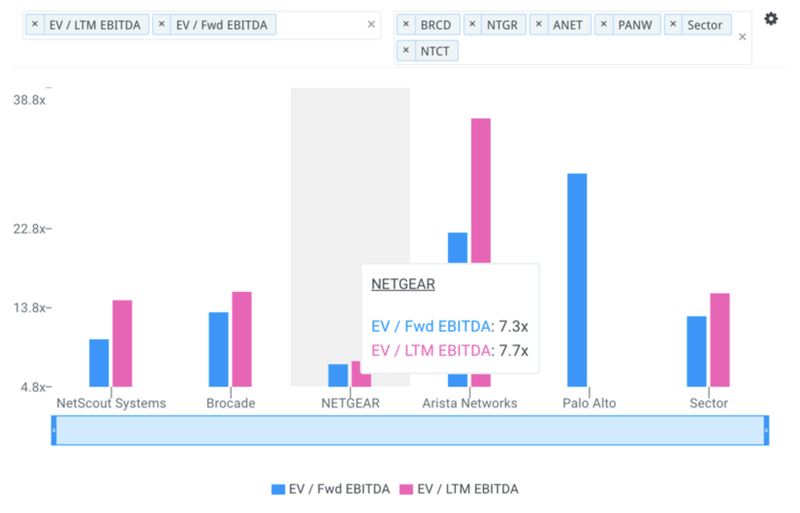 Overall, Netgear is a value play but has the potential to evolve into a growth stock. The strong price action we have seen recently appears justified.